This Timeline first appeared in Women Welcome Here! A Guide to Growing Women's Golf by Nancy Berkley published in 2003 by the National Golf Foundation. I have continued to update the Timeline on my websites. This Timeline may only be used or reprinted with explicit permission of Nancy Berkley. It may be used as a reference in articles or quizes about the history of women's golf only with reference to this website and this page. 1552 Mary, Queen of Scots (1542-87), an avid golfer, coins the term “caddie” by calling her assistants “cadets.” The Queen traveled to France to play golf and historians report that she was criticized for playing golf and not spending enough time on Royal matters. It is during her reign that the famous golf course at St. Andrews is built. 1891 The Shinnaecock Hills Golf Club on Long Island opens its doors to women. Golf proved so popular that the club opened a 9-hole course for women two years later. 1894 The first ladies golf tournament in the U.S. is held on the 7-hole Morristown, N.J., course – which later becomes Morris County Golf Club. 1894 The Amateur Golf Association of the United States — soon to be called the United States Golf Association — is formed. 1900 Margaret Atwood, age 26, wins the women's golf competition at the Olympics (the Paris Games) with a 9-hole score of 47. 1932 The first Curtis Cup Match, between women amateur golfers of the USA and Great Britain and Ireland is won by the USA. 1934 Helen Hicks becomes one of the first women golfers to turn professional. There are no professional tournaments but she promotes products for Wilson-Western Sporting Goods Company. 1937 Patty Berg wins the first Titleholders Championship for professional and amatuer female golfers. 1946 The first U.S. Women’s Open is conducted by the WPGA at the Spokane Country Club, Spokane, WA - . Patty Berg wins. 1949 Marilynn Smith wins the National Intercollegial Tournament for University of Kansas.-- paying her own travel expenses because University had no women's golf team. 1950 The Ladies Professional Golf Association (LPGA) is established with financial help from Wilson Sporting Goods. In its first season, the LPGA included 14 events worth $50,000 in total prize money. 1951 Beverly Hanson of North Dakota becomes the first player to win an LPGA Tournament in her first year as a member of the LPGA Tour beating Babe Zaharias. 1952 The LPGA establishes the Vare Trophy awarded at the end of the season to the LPGA player with the lowest scoring average. Named after Glenna Collett Vare who in 1922 won the first of her record six U.S. Women’s Amateur Championships. 1958 Patty Berg wins the Western Open, h1952 Northern California-Reno Open (October 9-12), 77-80-77-80—314 (105th, no-cut event); sponsor invitationer 15th major championship, a record. 1959 LPGA members vote to establish the Teaching Division. In 1991, it becomes the LPGA Teaching and Club Professional Division. 1960 The first LPGA National Golf School staff is established under the guidance of Shirley Spork and Barbara Rotvig. In the mid 1960s, Ellen Griffin, an active member of the LPGA teaching school, becomes a member of the National Golf Foundation’s “think tank” that gathers for week-long seminars to discuss promotion and teaching of the game. 1961 Mickey Wright and Barbara Romack defeat Arnold Palmer and Dow Finsterwald in a CBS Sports Spectacular on a par-3 course in Las Vegas, playing from the same tees. 1964 Alice Dye, the first women invited into the American Society of Golf Course Architects, designs the first complete set of forward tees at Crooked Stick Golf Club in Carmel, Ind. 1967 Catherine Lacoste from France becomes the first amateur to win the U.S. Women's Open -- July 1967 at the Homestead Resort in Hot Springs. Virginia. 1970 JoAnne Carner joins the Tour at the age of 30 after capturing the LPGA’s Burdines Invitational as an amateur in 1969. “Big Momma,” is still competing as the oldest player on the LPGA Tour. 1972 The Colgate-Dinah Shore Winners Circle debuts on the LPGA Tour offering $110,000 – the first six-figure purse in women’s golf. 1973 Mickey Wright sets a record of total victories by capturing her 82nd win on the LPGA tour, the Colgate-Dinah Shore Championship. 1976 Judy Rankin, with $150,734 in earnings, becomes the first LPGA Tour player to earn more than $100,000 in a season. 1981 Kathy Whitworth is the first woman golfer to top $1 million in career earnings. She captures her 83rd LPGA tournament, breaking Mickey Wright’s record of 82. 1989 The LPGA Urban Youth Golf Program and the LPGA Girls Golf Club are established under the guidance of Kerry Graham, LPGA Teaching Division President, and Sandy LaBauve, LPGA Golf Professional. 1990 Juli Inkster becomes the first woman to win the only professional golf tournament in the world in which women and men compete head to head. She wins the Invitational Pro-Am at Pebble Beach in a one-stroke victory. 1991 The Executive Women’s Golf Association (EWGA) is founded by Nancy Oliver in Palm Beach Gardens, Fla., to promote golf among working women. 1991 The first Women in Golf Summit is held. Women leaders in the golf industry meet to discuss ways to increase women’s participation in golf. 1992 The Susan G. Komen Breast Cancer Foundation is named the official charity of the LPGA in 1992, becoming the first national charity to partner with a professional golf association. 1995 Marcia Chambers writes "The Unplayable Lie: The Untold Story of Women and Discrimination in Golf" exposing discrimation violations that provided women with equal status. 1996 The Rally For A Cure organization is founded to raise money for breast cancer research through the promotion of women’s golf events. 1997 The First Tee - under leadership of Joe Lewis Barrow -- is established with support from the LPGA, the Masters Tournament, the PGA of America, the PGA TOUR, and the USGA to bring affordable junior golf to both girls and boys and to link golf with important life values. 1998 LPGA establishes the first-ever sponsored television series in women’s golf. The State Farm LPGA Series included television coverage of seven 1998 LPGA tournaments on ESPN and ESPN2 and offered a bonus pool of $250,000 to players. 2000 Michelle Wie, 10, becomes the youngest player to qualify for a USGA women’s amateur event when she qualifies for match play in the U.S. Women’s Amateur Public Links Championship. 2001 After winning the McDonald’s Championship, Karrie Webb became the fifth player in LPGA history to complete the Career Grand Slam, joining LPGA Tour Hall of Famers Louise Suggs, Mickey Wright, Pat Bradley and Juli Inkster. 2001 In the Battle of Bighorn, Annika Sorenstam and Karrie Webb team up with Tiger Woods and David Duval, respectively, for the Lincoln Financial Group prime-time television event – the first time a male-female pairing has been used for the event. Sorenstam and Woods defeat Webb and Duval on the 19th hole. 2002 At the Kraft Nabisco Championship State of the Tour Press Conference, LPGA Commissioner, Ty Votaw, announces the LPGA’s five-year strategic plan centered on a Fans First philosophy. To better connect with fans, Tour players are asked to concentrate on Five Points of Celebrity: performance, approachability, appearance, joy, passion and relevance. 2002 Suzy Whaley, an LPGA and PGA professional, becomes the first woman to qualify for a PGA Tour event – the 2003 Greater Hartford Open. 2002 Golf 20/20 establishes a Diversity Task Force to focus on women in golf including their participation as an emerging fan base. 2003 Annika Sorenstam accepts a sponsor’s exemption to play in the PGA Colonial Tournament. Although she does not make the cut, she draws record crowds and television viewers. 2003 Golf 20/20 establishes a pilot program, the National School Golf Program, to introduce golf in 160 elementary schools. 2003 Michelle Wie, age 13, becomes the youngest woman to win a USGA adult women’s competition: the U.S. Women’s Amateur Public Links Championship in Palm Coast, Fla.
2007 Alexis Thompson, age 12 years and 4 months becomes the youngest woman to qualify for the U.S. Womens Open July 2007, but she failed to make the cut..
2011 Mariel Galdiano from Hawaii, age 13, 11 months and 3 days, becomes the youngest woman to make the "cut" at the U.S. Women's Open July 2011 at Colorado Springs, CO. (Alexis (Lexi) Thompson was 14 in July 2009 when she made the cut at the U.S. Women's Open). 2011 (September 18) LexiThompson from Florida, U.S.,, age 16, 7 months and 8 days becomes the youngest woman to win an LPGA multi-round Tournament -- the Navistar Tournament in Alabama (September 18, 2011). This breaks the earlier 2005 record held by Paula Creamer when at the age of 18, Creamer became the the youngest woman to win an LPGA multiple-round tournament in LPGA history at the LPGA Sybase Classic in May 22, 2005. 2012 (August) -- Augusta National Golf Club in Augusta, Georgia admits its first female members: Former Secretary of State Condoledzza Rice and South Carolina financier, Darla Moore. 2013 (January) "Connecting with Her" Playbook, an industry-wide initiative is officially launched by the PGA of America at the PGA Merchandise Show in Orlando, Fl, with goal to increase the number of female golfers throug a transformational customer-centric model. Golf industry leaders, Donna Orender and Suzy Whaley, explain comprehensive program at educational conference. 2013 (October) The LPGA grants Lydia Ko's request to join the LPGA waiving the LPGA Tour's 18-year old requirement. 2014 (March 23) Karrie Webb of Austrailia wins the JTBC Fournders Cup at Wildfire Golf Club in Pheonix, AZ making her 41st Tour victory and tyiing LPGA Founder, Babe Zaharias, for all-time LPGA Tour wins. 2014 (March 26) The Royal and Ancient Golf Club of St. Andrews Scotland proposes a motion to admit women members subject to club members' vote in September 2014. 2014 (May 20). Lucy Li from Redwood Shores, California, 11 years and 8 months, becomes the youngest female to qualify for the U.S. Women’s Open on June 19 at Pinehurst Resort & Country Club in Pinehurst, NC. 2014 (May 29) The LPGA and the PGA of America announce a new partnership: Beginning in 2015, the LPGA Wegman's Championship (a LPGA "major") will be rebranded as the KPMG PGA Women's Championship and will be played in June (instead of August) and will feature a Women's Business Leadership Summit sponsored by the international accounting firm KPMG. LPGA Commissioner Mike Whan and PGA CEO Pete Bevacqua along with NBC and the Golf Channel will elevate women's professional golf and take a major step in cooperating to empower and educate women to play golf in keeping with the dream of the LPGA Founders. 2014 (JULY 27) LPGA introduces the International Crown Tournament - The top 8 women golfers from the top 8 countries (based on Rolex World Rankings) compete in a match play team event. Spain won. It will be played again in 2016 -- alternating years with the women's Solheim Cup matches to be played in Germany in 2015. 2014 (November 22) Suzy Whaley, a member of the PGA of America and an LPGA Professional is elected to the position of Secretary of the PGA Board of Directors making her the first female officer in the history of the PGA of America. 2014 - Clemmie C. Perry, Founder and Director, establishes Women of Color Golf (WOCG) to encourage women of colorto learn and play recreational golf. 2015 (June 11-14) PGA of America together with KPMG (international accounting firm) sponsor the LPGA Championship -- an LPGA "maor" tournament with the highest purse of $3.5 milliion becoming the first time The PGA has sponsored an LPGA Tournament as mutually arranged by the LPGA Commissioner, Mike Whan, and the Executive Director of the PGA of America, Pete Bevacqua. 2015 (August 2) Inbee Park of Korea wins the RICOH Women's British Open -- earning her fourth title of a women's golf "Major" giving her a "Grand Slam" -- something only a handful of other female golfers have earned. Now that the Evian Championship will be considered a "major", there is an opportunity for a "Super Slam." August 7, 2015. The industry mourns the loss of Louise Suggs, a Founder of the LPGA. She died at the age of 91 (almost 92) and was able to attend the LPGA 2015 Founders Cup Tournament which honors the courageous founders of the LPGA in 1950. August 16, 2015. Brooke Henderson, age 17, wins the Cambia Portland Classic and becomes the third women (under the age of 18) to win a LPGA Tour event. September 20, 2015. Team USA led by Captain Juli Inkster defeats Team Europe led by Captain Carin Koch and brings the Solheim Cup back to the U.S.
October 25, 2015 Lydia Ko of New Zealand marks 10th career LPGA Tour victory and becomes the youngest male or female to reach 10 wins at 18 years, 6 months and 1 day old. She breaks Nancy Lopez’s LPGA record (22y/2m/5d) by nearly 3 ½ years. January 30, 2016. Ha Na Jang of South Korea has the first par-4 hole-in-one in LPGA History on the 218-yard 8th hole of the Ocean Club Golf Course at the LPGA Pure Silk Bahamas Classic. February 6, 2016. Diana M. Murphy of St. Simons Island, Ga. is elected to serve a one-year term as the 64th president of the United States Golf Association (the USGA). She is the second woman in the USGA's 121-year history to serve as president, following Judy Bell, who was president in 1996 and 1997. The USGA together with the Royal and Ancient (the R&A) in Scotland governs the game of golf worldwide. June 7, 2016. The first Women's Golf Day is held. The one day, annual global event takes place at hundreds of locations around the world to introduce new women to the game and celebrate those that already play. WGD makes history by having an event occurring somewhere in the world for 24 hours straight from Australia to Hawaii. June 9, 2016. Inbee Park officially qualifies for the LPGA Tour Hall of Fame having met the LPGA’s ten-year membership (completing the first round of the KPMG PGA Championship on June 9, 2016) and having earned the 27-point requirement for specified accomplishments such as winning the Vare Trophy -- twice, which recognizes the player with the lowest scoring average for a year. August 17, 2016-August 21, 2016. Women's golf competition returns to the Olympic Games in Rio de Janeiro, Brazil -- 60 golfers from 34 countries; the first was in 1900 in Paris. The winners: Gold - Inbee Park of Korea, Silver - Lydia Ko of New Zealand, Bronze - Shan Shan Feng of China. October, 2017 -- Emily Nash -- 16 years old -- finishes first in a Massachusetts "regional tournament" but is denied the trophy for her "first finish" because she was a girl. The trophy was given to the boy with the lowest score. November 19, 2017 -- For the first time in LPGA Tour history, two players finished the season tied for "Rolex Player of the Year": Sung Hyun Park and So Yeon Rue. February 18, 2018 -- Jin Young Ko of Korea bcomes the second Rookie to win an LPGA Tournament -- the ISPS Handa Australian Open -- since 1951. March 8, 2018 -- Lorena Ochoa honored by Mattel Toy Company. Barbie doll honoring LPGA Tour golfer and Hall of Fame member, Lorena Ochoa, added to Barbie's "Shero" program designed to inspire the next generation of girls. March 27, 2018 -- "LPGA Women Who Play" established by the LPGA and incorporating the Executive Women's Golf Association founded in 1991. April 29, 2018 -- Lydia Ko becomes the youngest PGA or LPGA player to win fifteen professional titles with win at the LPGA MEDIHEAL CHAMPIONSHIP at Lake Merced Golf Club in San Francisco with victory on first play-off hole after final round against Minjee Lee. July 12-15, 2018 -- Innaugural US Senior Women's Open (sponsored by the USGA) for women over the age of 50 by July 12 with a Handicap Index no greater than 7.4. The Open was held at the Chicago Golf Club -- the first 18-hole golf course in the US opened in 1884 and designed in the Scottish Links style by Charles B. MacDonald. July 19-22, 2018 -- Brittany Lincicome becomes the fifth woman to play in a PGA Tour official event -- the Barbasol Championship. She follows in the footsteps of the first woman, Babe Didrickson in 1945, Suzy Whaley (2002), Annika Sorenstam (2003), Michelle Wie (2004). 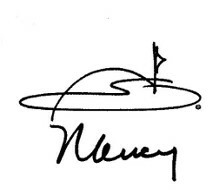 NOTE: Shirley Spork, a Founder of the LPGA, played in the 1952 Northern California-Reno Open (October 9-12) -- a PGA Tour event, on a sponsor invitation, but Shirley Spork is often omitted from the history books perhaps because it was a "sponsor invitation" that made it less "official" at the time. March 21, 2019 -- The LPGA introduces the #DriveOn campaign at the Bank of Hope Founders Cup at the Wildfire Golf Club in Pheonix, Arizona, defining the vision of the Founders and its ongoing inspiration for female golfers of all ages and from all corners of the globe. April 6, 2019 -- Augusta National holds the final round of the inaugural Augusta National Women's Amateur on the Augusta National Course. 30 women out of a opening field of 72 will play on Saturday's final round. The first two rounds (April 4 and 5) will be played on the Champions Retreat Golf Course. Women amateurs from over 20 countries qualified for this event. WHAT EVENT WILL HAPPEN NEXT THAT WILL MAKE THE WOMEN'S GOLF HISTORY TIMELINE?